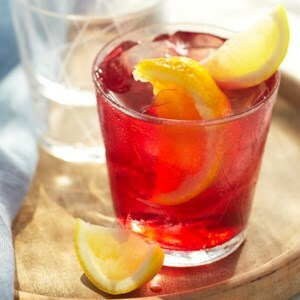 Find healthy, delicious iced tea recipes, from the food and nutrition experts at EatingWell. 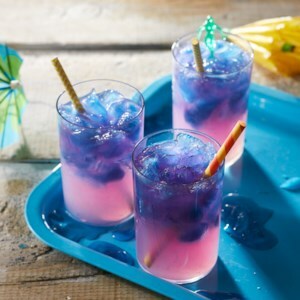 This crisp and healthy low-calorie summer drink is easy to make and very refreshing. 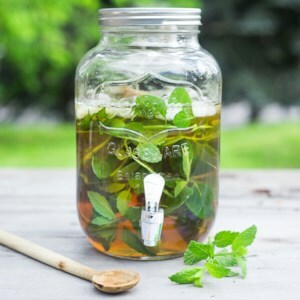 Sweeteners, like honey or stevia, are optional; the mint provides plenty of flavor without adding any calories or sugar. 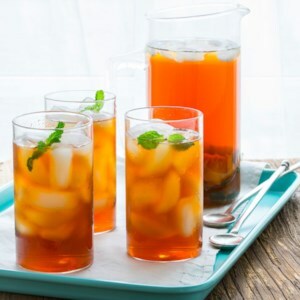 This refreshing tea gets a subtle hint of sweetness and fruity peach flavor from muddled peaches and fresh mint leaves. If you can't find fresh peaches, thawed frozen peaches will work too, with a slightly more subtle flavor. 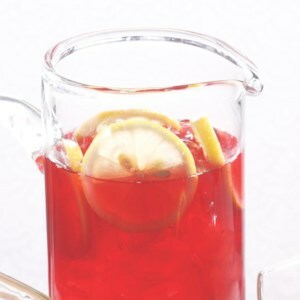 White tea is slightly sweeter than green or black tea, either of which can be substituted to make this low-calorie ruby-red winter iced tea drink. 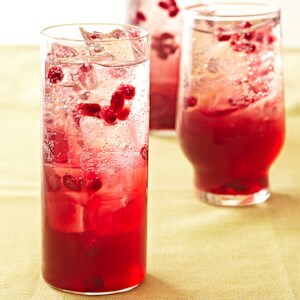 Perfectly refreshing, this fizzy pomegranate drink is sure to quench your thirst! Here we balance the mildly grassy flavor and slightly astringent mouthfeel of green tea with honey and lemon. Oversteeped green tea can be bitter, so don't brew it any longer than 3 minutes. And be sure to steep in simmering water: water that looks like it's steaming, with little bubbles, but not boiling. 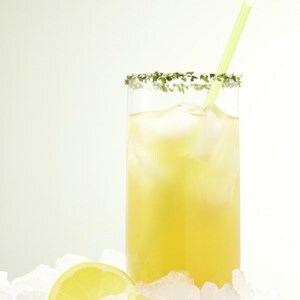 Here's a refreshing lemony energy drink recipe to give you a caffeine energy boost when you don't want coffee. It's a double-strength brew of green tea plus yerba maté and delivers about 135 mg caffeine plus antioxidants. 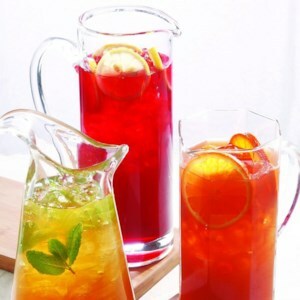 Compared with store-bought energy drinks, this homemade energy drink recipe saves about 150 calories and has less than half the sugar. 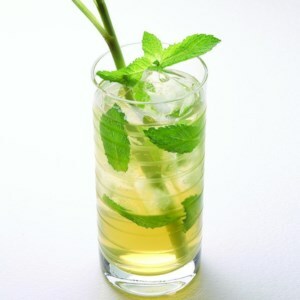 Add an extra-fresh taste by garnishing the rim with chopped mint. Yerba maté is a tea made from the leaves of a South American tree. Look for it with other tea in the natural-foods section of large supermarkets or natural-foods stores. 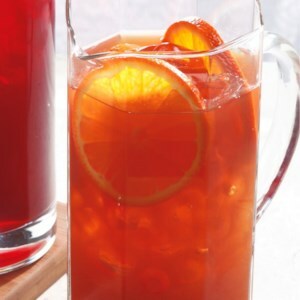 Get a little pick-me-up with this orange-infused Earl Grey iced tea. Tea is rich in a class of antioxidants called flavonoids that may help reduce your risk of Alzheimer's and diabetes, plus help you have healthier teeth and gums and stronger bones. 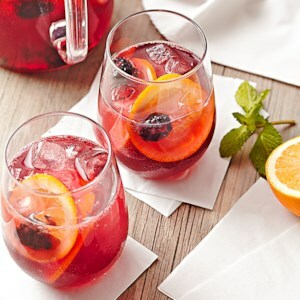 You can help preserve the flavonoids in iced tea by adding something acidic--like the orange juice in this recipe. 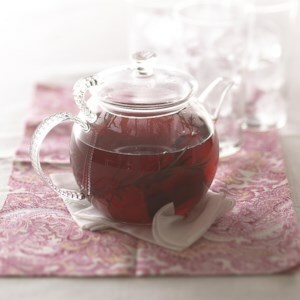 This herbal iced tea blends sour, berry-flavored hibiscus tea with sweet pomegranate juice. 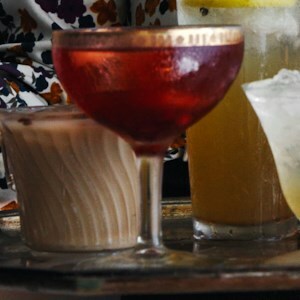 Crisp and refreshing, you just may find yourself craving this beverage on a hot summer's night. A healthy version of the summertime favorite.